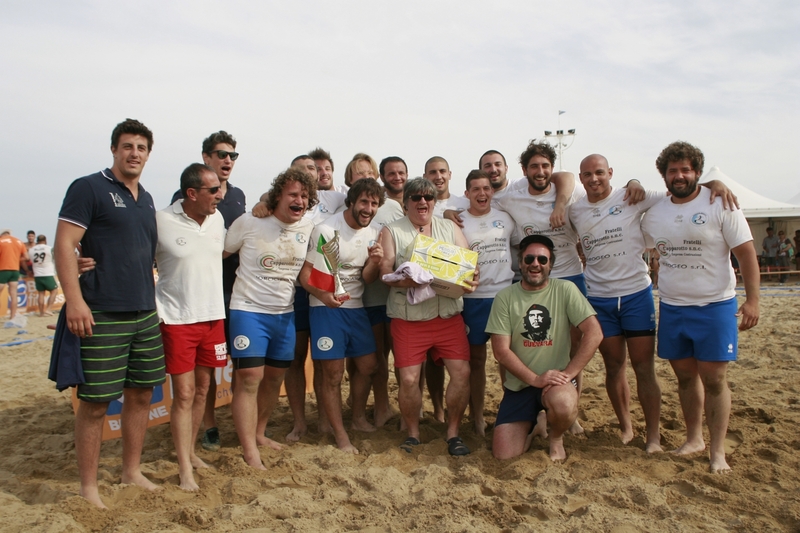 Over the weekend, the 2014 EBRA Beach 5s Series kicked off in BIBIONE, Italy. In the face of a strong local challenge, the international teams found it difficult to keep with the pace on the soft adriatic sand. In the end it was an Italian clean sweep of the Top 4 Placings, with PADOVA BEACH taking the honours and the 1st Leg of the 2014 EBRA Series. It was a comfortable victory for the boys from the Veneto over their Italian Championship rivals STRANI TIPI with a final score of 9-2. In addition to taking the tournament title, doubtless PADOVA were also delighted to have bagged the winners 20 pts, which interestingly are valid for both the EBRA Series and the LIBR Italian Championship. It’s early days yet but PADOVA have definitely thrown down the gauntlet. And in the Ladies event, Le Nutrie RRB overwhelmed all the opposition to take the 2014 title.